Kindred Kingdra! Pokemon One a Day, Series 2! Pick a card...Any card! It’s the King of Water! For One a Day, I depicted Kingdra as the face of a playing card that you might find in the Pokemon universe. 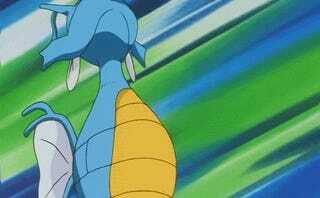 Kingdra is an evolution that wasn’t needed and undoes the badass look of Seadra...I mean, it’s supposed to be a king and a dragon type! 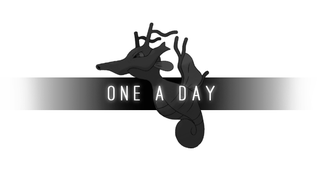 I know Kingdra has a lot of fans irregardless, so I did something royal for the creature and introduce a new style as the One a Day pledge commands. This one’s pretty straight forward, isn’t it? I referenced the king playing card and found design elements that I used throughout the illustration. When I looked through them, I found how much I took for granted in the designs of the royal cards of the deck. There are tons of beautiful patterns and symbols and they come together so beautifully for the symmetrical/mirror finish. I played up the king element by adding a trident, as the royal faces all have some sort of handy item. There are other “kings” in Pokemon that I felt would be more fitting for this face (Empoleon comes to mind) but Kingdra fits the bill as it is 1) the best fit for this style of the remaining mons of this gen 2) has King in its name and connects with the K letter on the card) 3) needed a cool style to make up for it’s whack design. I think that about wraps it up! Thanks all for checking in! This was a case of guess and check in trying to get the symmetry down and it taught me a lot about the world of cards. See you tomorrow! QOTD: With water already installed, what are the 3 remaining suits of the deck? In addition to those types, give a representative King and Queen for them!